Barwon Orange is an award winning cafe and restaurant located in Barwon Heads, Victoria, Australia. 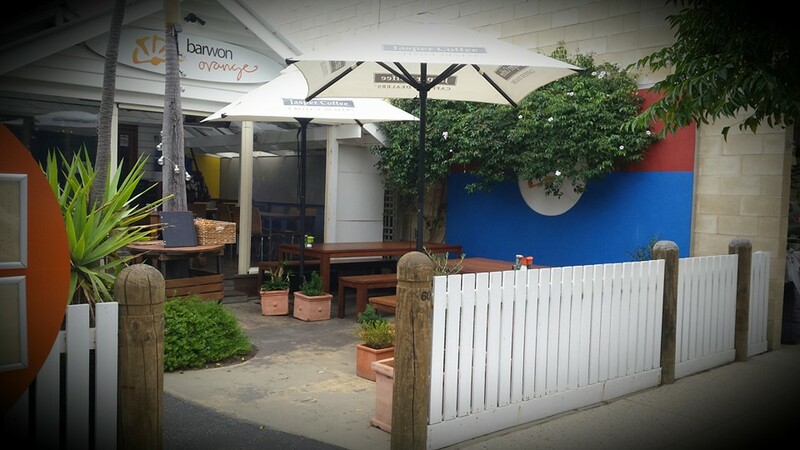 Barwon Orange is a bright, vibrant, funky, and happening place, whether relaxing on a cosy seat inside or enjoying the sunshine on the deck. The cuisine, powered by the flames of our woodfired oven, is sure to fire up your tastebuds. Flavours from around the globe have influenced our menu, whether it is brekky, lunch, a gourmet wood fired pizza or a selection from the dinner menu, we will surely please you. $2.50 Coffee Happy Hour - between 7.30am-8.30am everyday.